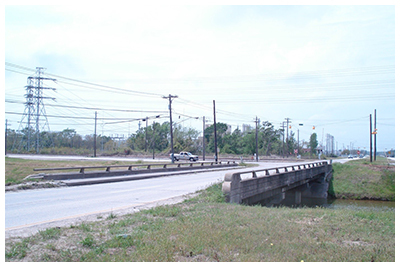 GCE provided traffic engineering services for Port Road from Bay Area Boulevard to SH-146. Harris County wanted the roadway widened from two lanes to four lanes. The road previously had open ditches, now it has a concrete curb and gutter boulevard with closed storm sewer systems. GCE services included data collection, traffic projections, capacity analysis, lane geometry calculation, traffic signal warrant studies, and new traffic signal design at Port Road at Bay Area Boulevard intersection. As part of the study, GCE obtained traffic counts at Port Road and Bay Area Boulevard intersections in addition to driveways to the east of the intersection along Bay Area Blvd. The traffic counts generated were used for the determination of the need and extent of left turn lanes to serve the driveways and for traffic signal warrant studies and traffic signal design.